If you are thinking of living and work in France we can advise you that you will need a French sworn translator to translate certain official documents such as: your university degree, birth certificate or administrative certificates among others. Do you need a sworn translation in French to homologate your degree and work in France? The public administrations, universities, authorities or official institutions in which you are going to present your documents need to verify the accuracy and authenticity of the translation, for this reason, they will require your sworn translations of these documents. A sworn translation also known as translation for legal equivalence, has a legal status similar to that of a notarial deed. A “sworn translation” or a “certified translation”, once the translation is completed, it has the same legal value as an official document in the eyes of the Justice Department and French or foreign administrative authorities.A Sworn translation is a document delivered in paper format, bearing the signature, seal and certification of the sworn translator appointed by the Ministry of Foreign Affairs and Cooperation. This translation is legally valid to be submitted to any public or private institution. In order to obtain the mention “translation certified to be conforming to the original”, a sworn translation must always be accompanied by a unique registration number, a stamp, the date and the signature of the sworn translator. 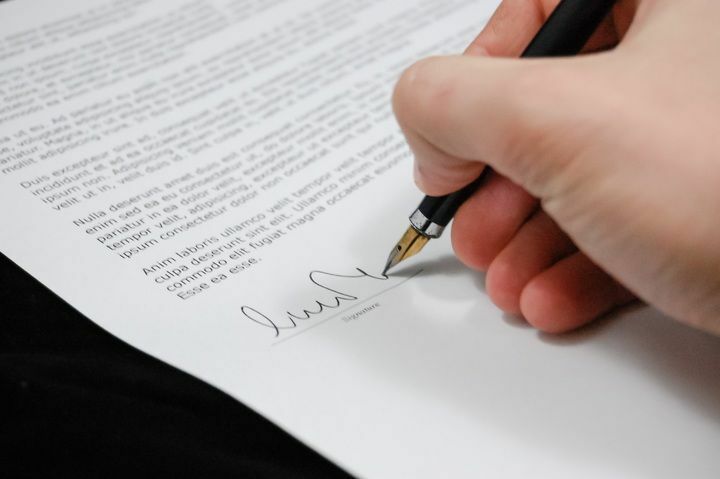 A sworn translation can be requested for a number of types of documents: civil acts, scholarly, legal, administrative, work , sales, transportation, or even technical documents, such as patents registration. A sworn translator-interpreter is a person accredited to legally validate a translation. In order to become a sworn translator, it is necessary to study for a degree in translation and interpreting or to pass an exam organised by the Ministry of Foreign Affairs. What are the documents that usually require a sworn translation? Among the documents that can be translated by a sworn translator are: Diplomas or university degrees, housing rental contracts, powers of attorney, birth certificates, marriage certificates, divorce certificates, administrative forms, financial reports, deeds of incorporation, academic certificates, criminal records, driving licences or medical certificates, patents registration, insurance documents, among others. Your documents will be studied by a translator specialised in sworn and legal translations who has more than 8 years experience working in this sector, offering a service based on commitment, rigour and professionalism. Do I need to send the original documents that I need to translate? No, there´s no need, regardless of where you live, all you have to do is send us by email your scanned documents to our email address. [email protected]. and we will receive it in the same minute, without putting the original documents at any risk. The minimum delivery time for a translation is 3 or 4 days, depending on the length of the text. However, if you have an urgent translation need, please inform us, and we will do our best to deliver the document in the shortest time posible. When we send you the quote, we always indicate the standard delivery time required for your translation order. A paper copy of the of the French translation with the signature, seal and certification of a sworn translator. A paper copy of the photocopy of the original documents in the source language covered with the signature and stamp of a sworn translator . We guarantee that our sworn translators are appointed by the Ministry of Foreign Affairs and Cooperation. Attach the material to be translated and we will give you a non-binding estimate as quickly as possible. We will answer you as soon as possible, giving you the price and the estimated time.